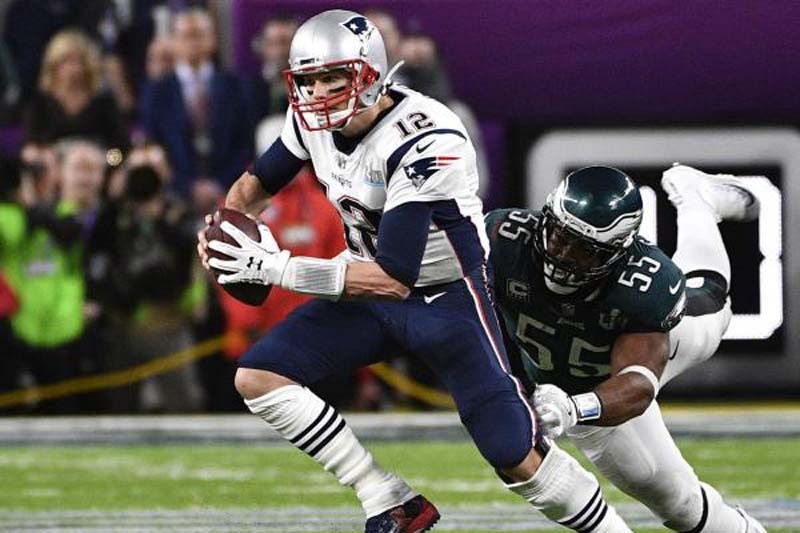 Five-time Super Bowl champion Tom Brady recently showed off his arm with something other than a football during a dodgeball game. [post_ads]The New England Patriots gunslinger has been vacationing in Montana. He posted Instagram footage Thursday from the inside of a gymnasium in Big Sky. Brady, wife Gisele Bundchen, his mother, father and children were running around for a lighthearted dodgeball game in the video. "Typical way to finish the day in the Brady house," Brady wrote for the caption on the video. "#theresnocryingindodgeball Rules - 1. face shots count 2. no crying 3. Boys vs girls always!" Brady was a stickler for the rules during the actual game, complaining that a player crossed the line at one point. He took a few hits, including one from Gisele, before his mom got into the action. Galynn Brady smiled as she held the ball, eyeing a toss at her son. Brady caught her underhanded throw, before ripping the ball back at her. Former Boston Red Sox star Kevin Youkilis was also in the video, as he is married to Brady's sister Julie Brady. On Wednesday, Brady had another post including his parents. Brady and his dad kissed Galynn for that shot as the 2017 NFL MVP wished his mom a happy birthday.